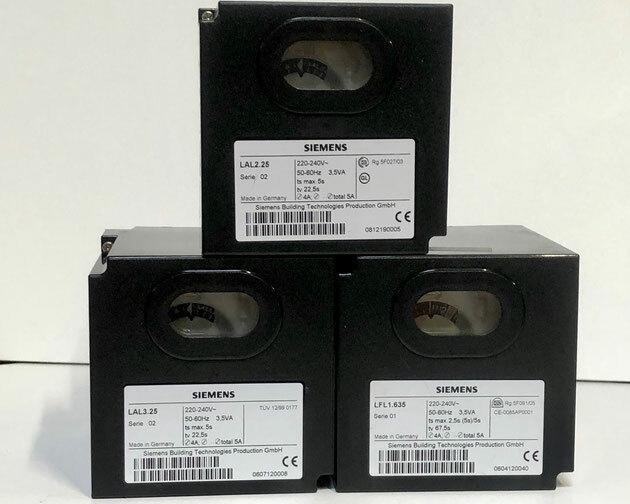 If you would like to receive an offer for a SIEMENS burner control or another item, then please email directly at sales@shipspares.nl or use the "REQUEST A QUOTATION" - FORM. 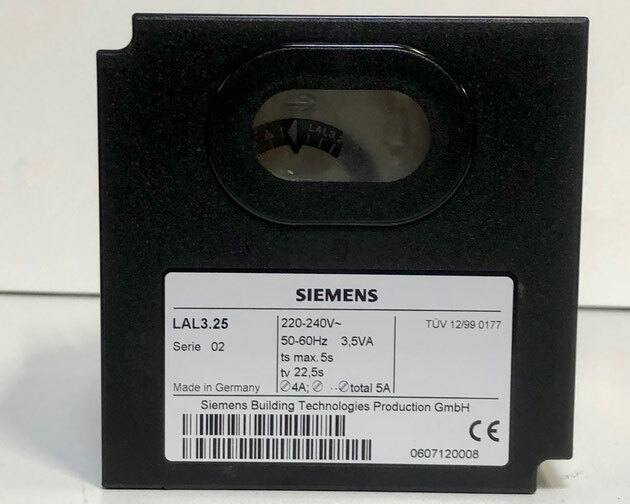 The SIEMENS oil burner control, Type: LAL3.25, Serie: 02. 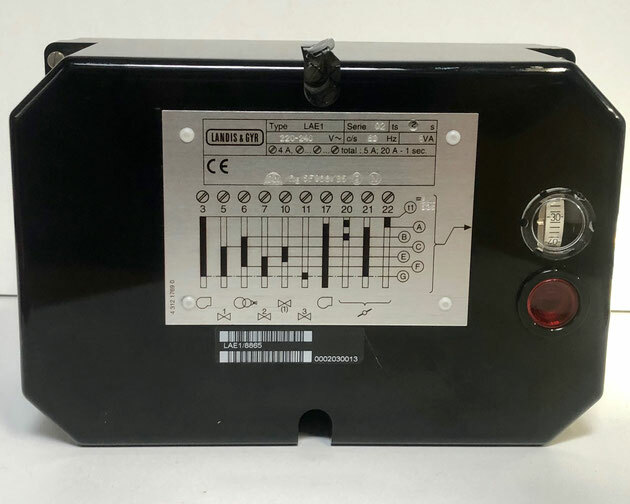 This burner controller is used for special applications, such as for the control and supervision of burners of incinerator plants of atomisation burners. 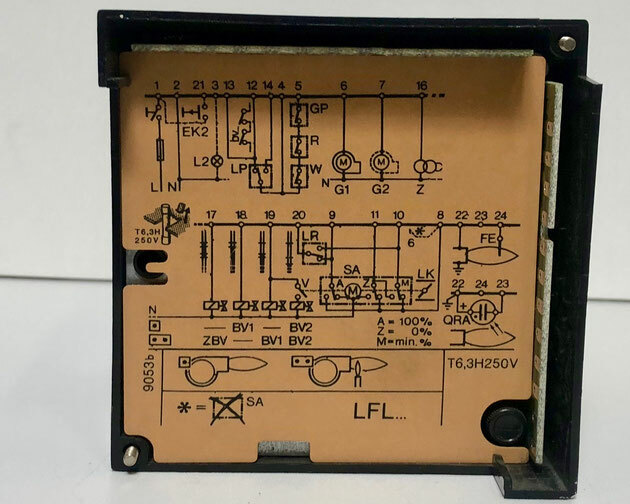 The difference between this LAL3.25 and other LAL types is that this burner controller does not trigger a lockout during burner off times and during the prepurge time. This is because an additional light prevents the burner from starting up. 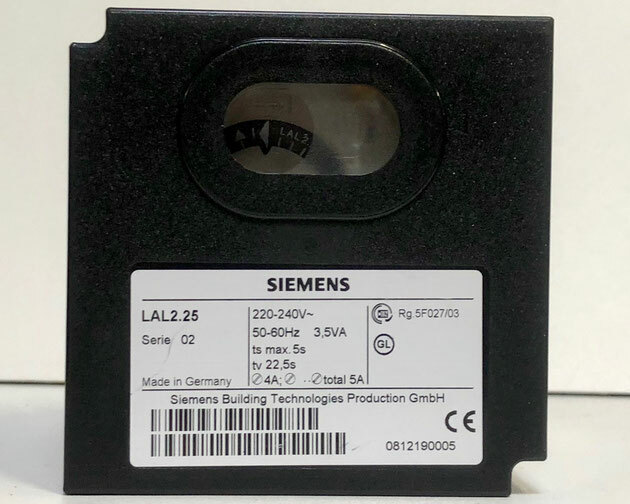 The SIEMENS oil burner control, Type: LAL2.25, Serie: 02. 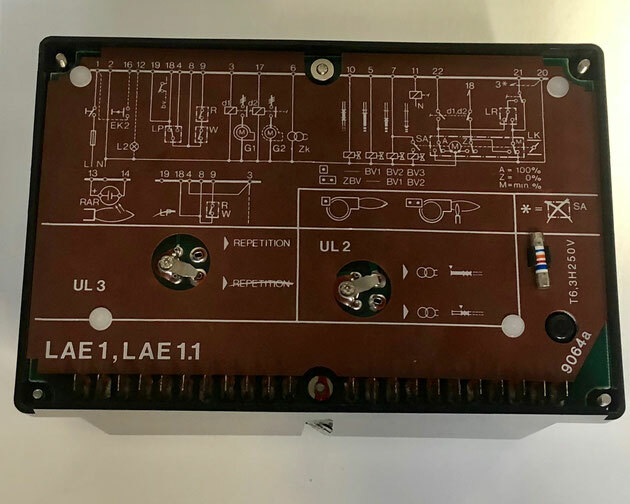 This burner controller controls and supervises oil atomisation burners with a yellow-flame by air pressure supervision. This flame supervision could either be done with a QRB1 or an RAR. 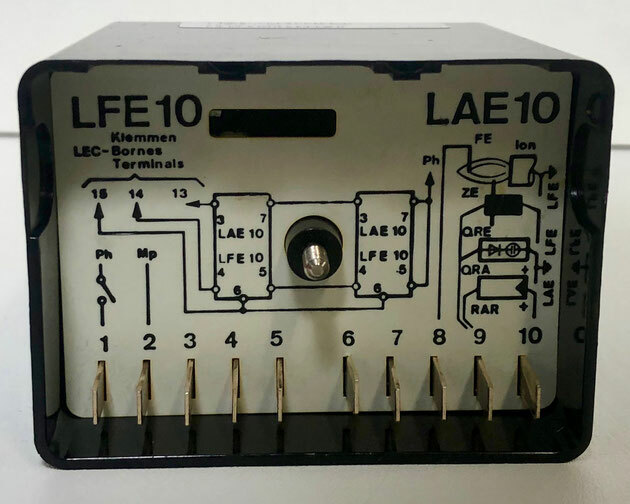 The LANDIS & GYR oil burner control, Type: LAE1, Serie: 02. 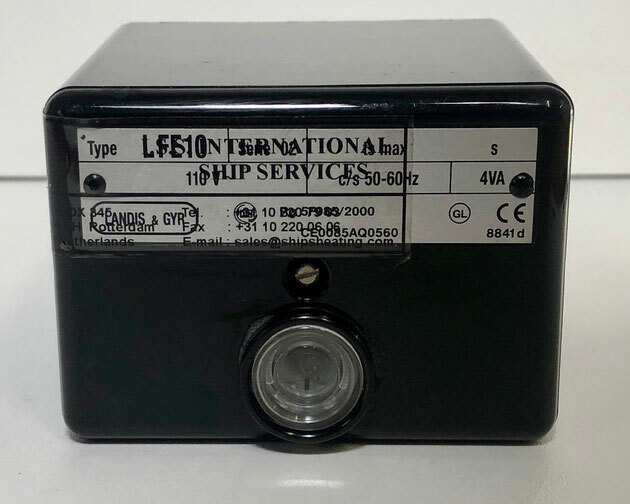 This LANDIS & GYR oil burner control is currently replaced by SIEMENS oil burner controls. The SIEMENS gas burner control, Type: LFL1.635, Serie: 01, Art.Nr. : BPZ:LFL:1.635. This burner controller can be used for gas forced draft burners. 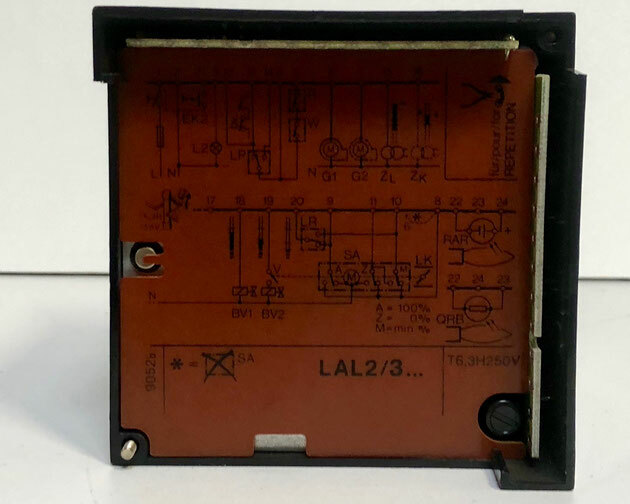 This gas burner controller can be used with QRA-type flame detectors or an ionisation probe. 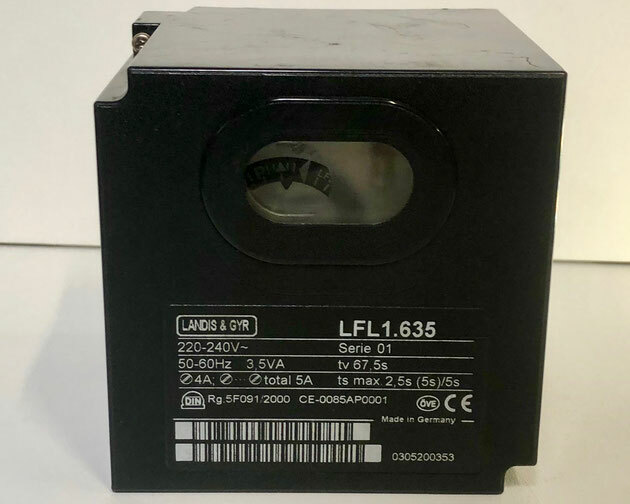 The LANDIS & GYR gas burner control, Type: LFL1.635, Serie: 01. The old versions of LANDIS & GYR gas burner controls are currently replaced by new SIEMENS Gas Burner Controls. 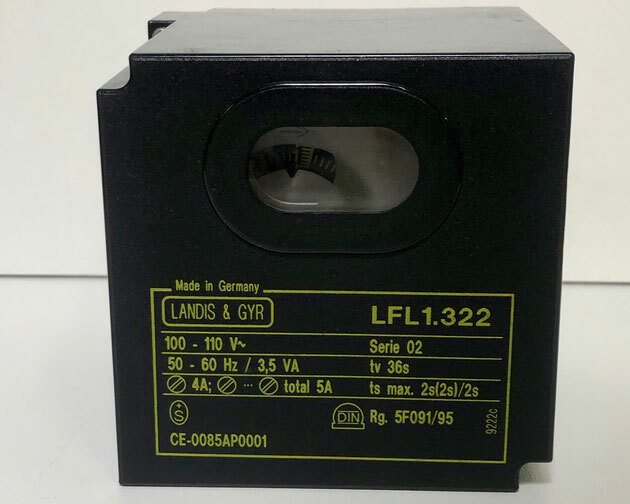 The LANDIS & GYR burner control, Type: LFL1.322, Serie: 02. This LANDIS & GYR burner control is replaced by newer SIEMENS burner controls. 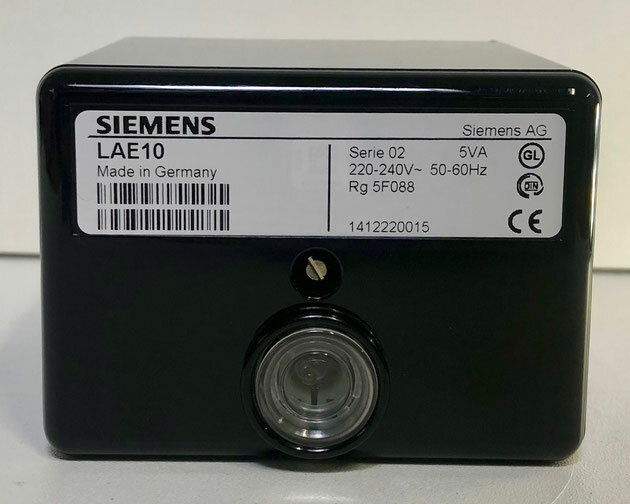 The SIEMENS flame safeguard burner control, Type: LAE10, Serie: 02. 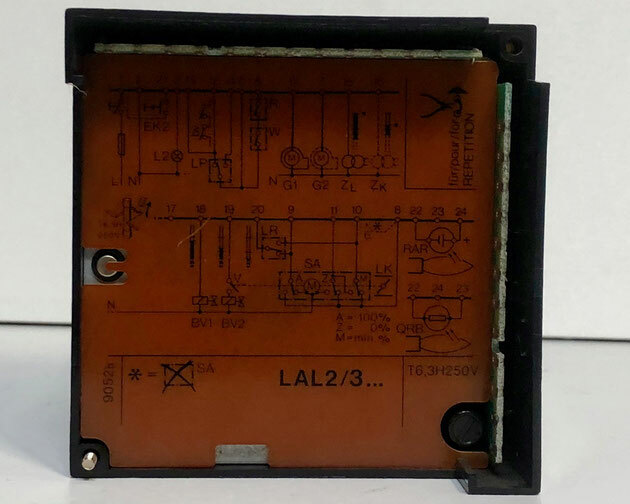 This spare part is used to supervise and indicate oil flames of oil burners. 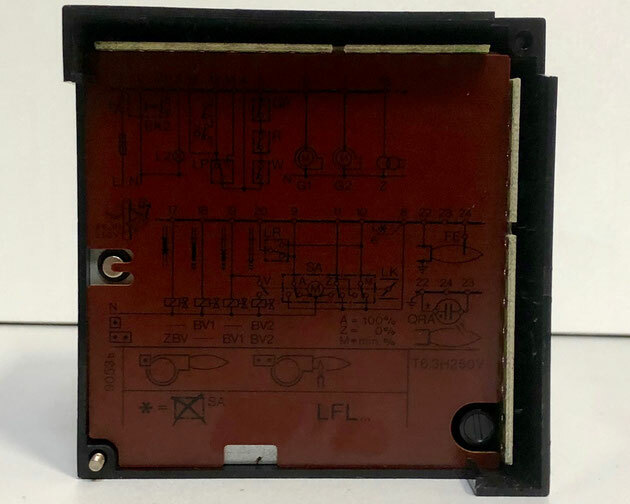 This spare part works together with RAR-type and QRA-type photocell detectors and ionisation probes. 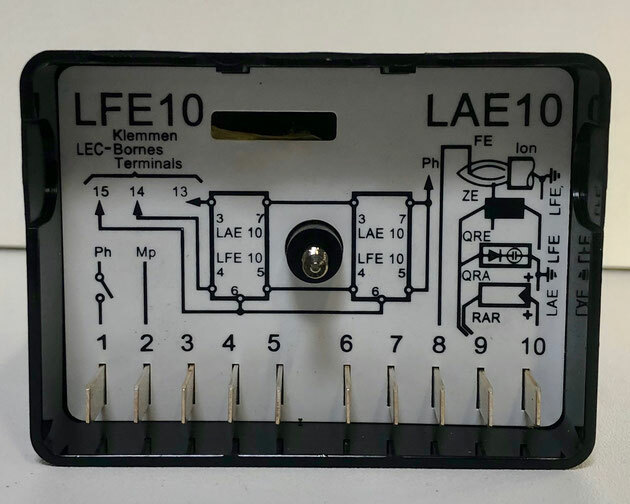 The SIEMENS flame safeguard burner control, Type: LFE10, Serie: 02. This flame safeguard is used to supervise and indicate gas and oil flames of burners. This is done with the use of QRA-type or RAR-type flame detectors or an ignition probe.